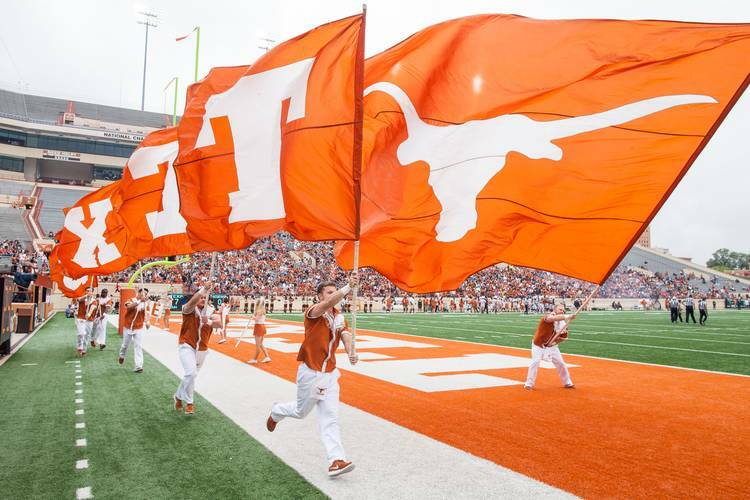 They believe: Which AP voters put the Longhorns in their preseason Top 25? Texas may be coming off a losing season and is leaning toward a true freshman quarterback to start the season against the No. 10 ranked Notre Dame Fighting Irish in a few weeks, but those are just details to some Associated Press voters. The Longhorns will start the season unranked, but they did get a handful of votes in the AP preseason Top 25 to give them 12 points. While the Statesman’s own AP voter Kirk Bohls, as well as the Dallas Morning News’ voter Chuck Carlton, kept the Horns out of their rankings, these five reporters believe in the Longhorns enough to put them in the top 25, according to polltracker.com. John Clay and Jon Wilner voted Texas at No. 22. Clay is a columnist for the Lexington Herald-Leader in Lexington, Ky. He voted Alabama No. 1 and Louisville No. 14, five spots higher than the AP ranking. Wilner could cover the Longhorns as he’s a voter from the San Jose Mercury-News in California. Texas plays California next month on the road. Wilner could be a Texan at heart, as he voted Texas No. 22 and Texas A&M No. 25. Sam McKewon of the Omaha World-Herald voted the Longhorns at No. 24, over Southern Cal. He’s no homer either. He kept the Nebraska Cornhuskers out of his top 25. The biggest name to vote Texas in the Top 25 is Brett McMurphy of ESPN. He’s now the third ESPN personality to be high on the Longhorns. Jonny Miller of WBZ NewsRadio 1030 in Boston voted the Longhorns No. 25. He also has Alabama, the preseason No. 1 team, No. 5 in his ranking. Bohls explained his rankings here.